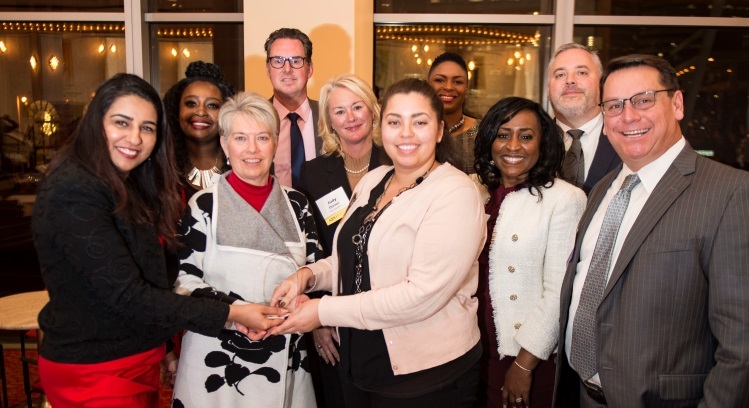 Associated Bank colleagues accept the 2018 Diversity in Business award at the awards event on November 15. The Daily Reporter and Wisconsin Law Journal selected Associated Bank as a 2018 Diversity in Business Awards Honoree for demonstrating a significant contribution toward creating a diverse and inclusive business community though the implementation of policies, initiatives and programs. Associated Bank, along with 15 other individuals and companies, was celebrated at an awards event on November 15 at the Marcus Center for the Performing Arts in Milwaukee.